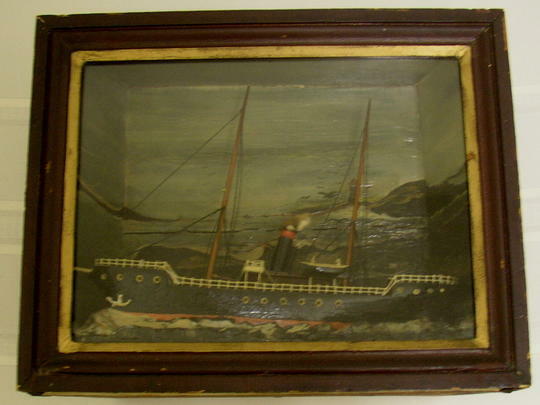 19th C Ship Diorama with a very interesting full body ship with steam and sail power on rough sea with detailed painted background with light house, house, rocky shore and seascape. Fine original condition. No country flag designation, but probably American origin. 17 3/4″ wide, 14″ high and 7″ deep. Found in Vermont.